Some lessons forgiveness taught me. It takes a strong person to say “I’m sorry” but a stronger one to forgive them. Somehow “I love you”, “I’m sorry” and “I forgive you” are the hardest words to say because at that point in time, we are stripped off of our defenses and are vulnerable in front of people. Could be seen as weakness or strength but I’ve come to an understanding that ego is the only requirement to destroy any relationship. I still have a complex understanding of forgiveness. Some say stupid people neither forgive nor forget. Others say naïve people forgive and forget. And others say the wise forgive but don’t forget. But my question is: Is it real forgiveness if you have what they did to you at the back of your mind, hoping one day you might remind them or prove a point like say people don’t change? Is it real forgiveness if your words mean one thing but your actions portray another? Is it real forgiveness if neither you nor them have peace even after knowing everything is truly left behind? Think of the times you didn’t forgive someone. Did you sleep well? How was your conscience? Were you really happy? Exactly! No you weren’t because holding on to anger and unforgiveness is like drinking poison and expecting the other person to die. There is nothing more soothing and quiet like knowing you have freed your heart from all hatred, anxiety and stress from your life. People may or may not ask for forgiveness but you not releasing all that damage will only destroy you in the long run, not them. So always remember, forgiveness is about you, not them. 2. Sometimes we create our own heartbreaks through expectations. We are all human and I can bet on anything that people you thought could never hurt, especially those you held in high positions, are the ones who hurt you the most. It be your own friends, family members, boyfriends or whoever. It is in our human nature to be ever changing and maybe we’ll reach a stage where we wouldn’t even have the same values or priorities anymore. So what do you do? Do you keep changing your circle of friends? Do you cut people off because they fell short or didn’t behave the way you expected them to? No one is perfect and maybe if we kept in mind people can be fickle,they will make mistakes and even disappoint us, then maybe we could get a better shot at being patient and building stronger relationships. Improve your reality and lower your expectations. I’ve never related to something so much. You never really know someone till you’ve seen their ugly side, known their past and what isn’t so loving and nice about them. And you don’t know love till you decide to walk past all of that and still choose them. I forgive because I love you, because my love is more important than my ego. Because you are not what you did or what happened to you. You messed up and it hurts but I choose to forgive you because my love is greater than all of that. We are quick to chant ” love is patient, love is kind…” (1 Corinthians 13:4-8) but slow to practice it. And were so quick to ask God to forgive us but we don’t want to forgive others. 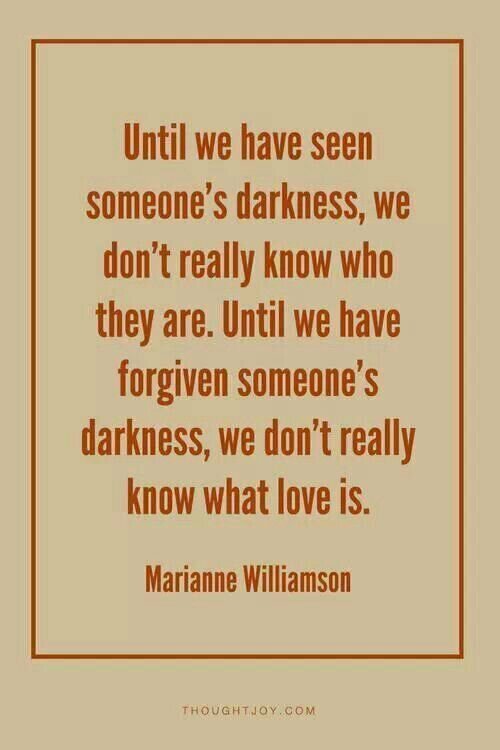 So revise your definition of love and ask yourself why you are not truly forgiving that person. If we really want to love, then we must learn how to forgive. 4. Don’t take things so personally. I always say how people treat you reveals a certain character trait in them. It’s not about you but it’s about them this time around. Maybe they needed to hurt you to be able to understand they have certain flaws and issues they are still dealing with and how much it is affecting their relationships with others. I know it sounds messed up but even Judas had a purpose and his was to betray Jesus so He could die for our sins. Sometimes when someone hurts you, don’t take it upon yourself to feel worthless or foolish or stupid for loving them despite all that mess. It just proves you are strong and your love for them was genuine so if they end up losing you, their bad because they’ll end up regretting it. So dust yourself up, forgive,learn your lessons and keep moving. But remember, while they hurting you may reveal something about them, you not forgiving them reveals something about you. 5. Words and actions go together. You can’t say you’ve forgiven someone but you are contantaly reminding them of what they have done. You can’t be constantly on your guard, waiting for the slightest opportunity to prove them wrong and make them feel bad about it. People don’t change overnight and even if forgetting doesn’t go overnight, you can’t heal by regularly touching your wound. Forgiving doesn’t mean you act as though nothing happened, it means you are aware of what happened yet you chose to let go. Just be real with yourself but do not keep bringing back someone’s past especially if they are trying to change. All in all, forgiveness is the oil of all relationships. It is not for the weak because it takes a lot of selflessness, self-awareness, strength, patience, love and understanding to let go when someone did you dirty. It doesn’t excuse their behavior but it stops it from destroying your heart. Free yourself by forgiving today. Have a blessed day. Hi guys hope you are having a great week. Forgiveness is one of those things we think are practicing but somehow are still holding back alot because we are scared of completely opening up or having to feel vulnerable with others. Is it easy for you to forgive and what are some mechanisms that help you in the process of forgiving? Drop some comments lets talk about it. Great post! Especially liked, “I forgive because I love you, because my love is more important than my ego.” keep writing! Previous Post Yesterday, today and tomorrow.